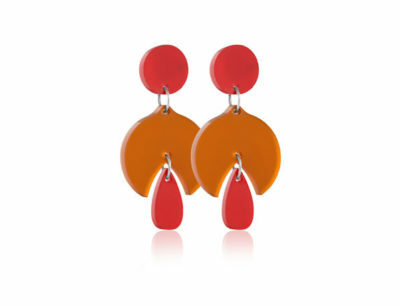 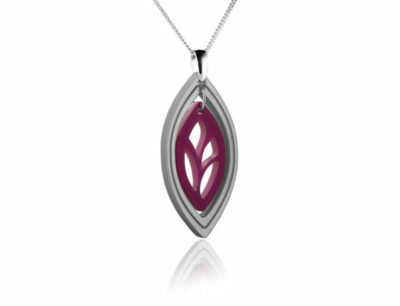 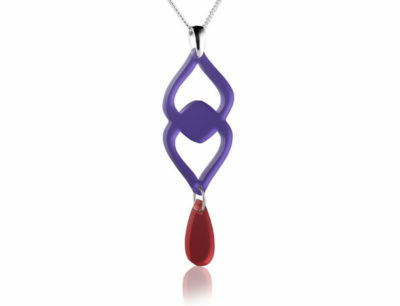 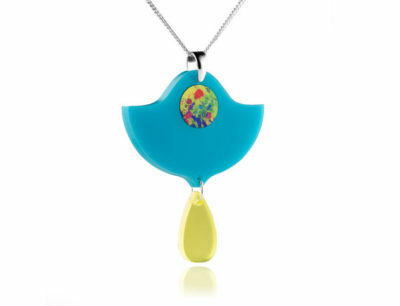 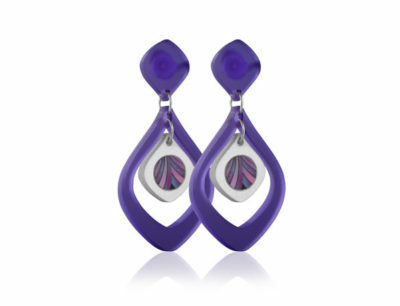 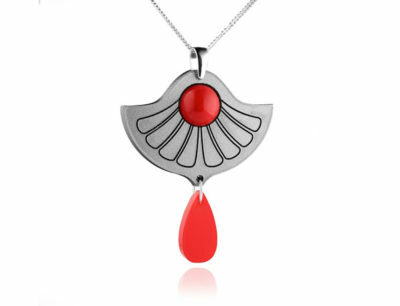 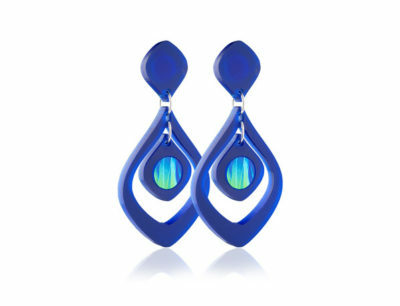 The Duo Lily Purple and red acrylic pendant is guaranteed to get you noticed! 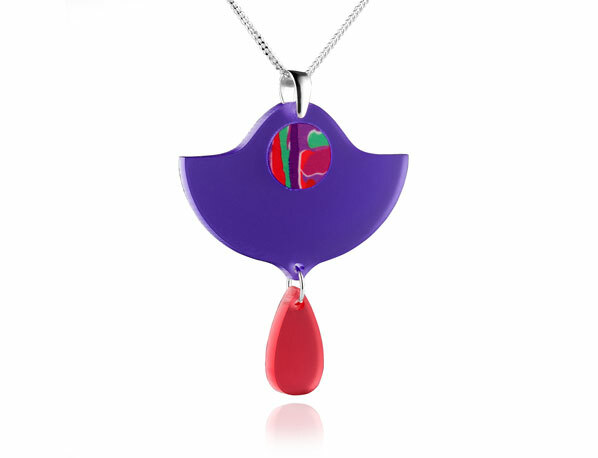 The centre features an eye-catching bang of colour with reds, purples and green and a little red droplet adds to this chic, elegant look. 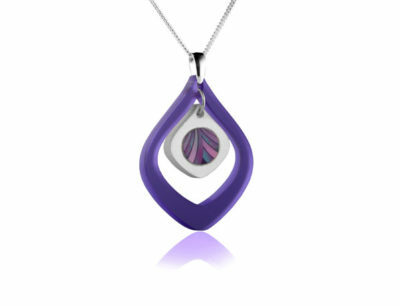 It is finished with a sterling silver bale and chain.